It's been a little quiet here. It's been a little quiet in my reading life. It's been a very quiet in my Scrivener document, where I write my novel. I have been laying low, for many reasons. One big one? I started medication for generalized anxiety disorder, and I've been sleeping. A lot. I had a physical three weeks ago, and it happened to fall right in the middle of a Very Stressful Time. We had just accepted an offer on our house, and we had a small window of time to find a new home. You know, the home we expected to meet our family's needs for the next thirty years? That one. We needed to find it in a matter of weeks, while working full time with little to no childcare for ANY non work hours. Our family rhythms had also shifted in January, with Ben home during the day and working nights and Saturdays, and it was hard. Hard on the (bored) kids, hard on Ben and I. Add in evenings and weekends being dragged to look at houses where you weren't allowed to touch anything, and our family was...raw. Snapping at each other. We were in survival mode. What a beautiful problem to have, right? Touring potential new homes? I don't fail to recognize that only privilege of a special kind can turn this opportunity into something to be endured. House worries were not my only anxiety, though. Over a stretch of several months, I had found myself getting into something that I would describe as "thought loops." I would say something at work or write something on the internet and then obsess over my wording, terrified that I had offended someone or that my words would be taken the wrong way. I would think of a possible worse-case scenario involving one of my students, and then perseverate on it until I had to hide my phone so I wouldn't call and check with parents at three in the morning. For all my talking about myself, I'm a terrible self-reflector, but I'm fairly certain these were recent personality developments. I used to be good at shrugging things off, or at least as good as the average citizen. These new worrying behaviors were making me miserable. So at this well-timed physical, I checked off "nervousness" on the form where you talk about recent symptoms. The chatty nurse came back to the room with another mental health form, rolling her eyes. "Sorry, but you checked off one of the no nos, so you have to fill this one out. Circle all zeros and they'll leave you alone." Yeesh. I answered honestly, marking off how many times in the last month my nervousness had made me feel sad or unmotivated, how often I was unable to stop thinking about something upsetting, how often I had mood swings. When my doctor came in, she read the form, checked her schedule, and said that because she had no appointments after me, we were tackling this today. We talked about coping strategies, meditation, regular physical exercise, and therapy, all things that I have tried and some of which had been extremely helpful to me in the past. Very quickly, though, we arrived at medication, and I was surprised at how easily it was brought up an how much it was encouraged. I thought she would push other methods of handling my anxiety and ask me to come back. The thing that really got me was her description of it as a tool that could get you through tough times (house buying, legal paperwork, moving with toddlers?) and her insistence that we could constantly revisit whether I wanted to stay on it. I left with a birth control renewal, a directive to take a women's one-a-day, and a prescription for an anti-anxiety medication. This was about a month ago, and things have changed. In fact, it is a whole new world in our family. This new medication has altered our home life in a way that I could not predict. See, I knew my worries were making me upset, but I had no idea how much they affected my moods. Whenever I am scared or unsure, my knee jerk reaction is to get mad- I've been this way my whole life. So when I was worried a lot, I was mad a lot. When I am mad in public, I tamp it down. I am a Libra, a diplomat, and I make sure everyone is happy. When I am mad at home, my anger is loud and quick and huge. No one outside of my family is privy to the way I can fall apart when I lose my temper. It's big. Big decisions make me fight or shut down altogether. Until now. A week or so into my new med, Ben and I had to decide what offer to put in on a house that we were fairly certain was The One and The Only One For Us. Ben wanted to offer low, very low, figuring that the house needed a lot of work and it was the opening of negotiations. I felt that we were buying someone's family home and I didn't want to insult the owners. We went back and forth, explaining our sides. I was nervous, but Ben insisted, "They'll just counteroffer! This is the right move." I nodded. "Okay." He looked at me weird. It took him three more cautious days to admit it, but he told me, "I've known you for 12 years, and you have never stopped in the middle of an disagreement with an 'okay.' In fact, the entire process of putting in that offer would have caused huge blowouts a month ago." I realized he was right. Moving into our first home had been incredibly stressful, resulting in huge fights that I am humiliated to recall. My fear and worry about the big changes in our lives had translated into little microbursts of rage. I was blamed "my temper." I never ever realized that medicine could affect these unpleasant emotions that I just figured were an unwelcome part of my personality. In the past month, I cannot recall one single outburst that felt like a loss of control. I have been able to face challenges and stressful scheduling and minor family emergencies without spiralling and taking out on my husband or berating myself mentally. It has been truly life changing. I don't want to sugarcoat this experience. There have definitely been drawbacks. As the medicine builds up in my system, I can feel myself getting more and more sleepy during daytime hours. I'm a person who has always loved waking up early, but in the past month, that has gotten harder and harder. Sometimes my eyelids flutter shut even as I'm drinking my coffee. I've had an incredibly difficult time getting to the gym in the evening, which used to happen at least three times a week- these days, I'm just too tired, even with extra sleep in the morning. The gym is my number one reading time, so as that time has dropped away, so has my interaction with books, something that greatly improves my mental health. I've had trouble getting into any book lately, and I can't tell if that's because of the medicine or just where I'm at right now. And my writing has taken a huge hit. I can usually sit and have a post come flying out of my fingertips, edit it up and have it published within an hour. This post has taken me three days four days a solid week to write, not because I'm unsure about sharing, but...sentences are harder to find. Words are more jumbled. And it's easier to just save what I have and drift away, where leaving a post unfinished used to really bother me. The best way I can describe it is that everything feels like it's turned down. Like before I was at eleven, and someone clicked me back to five. There are ways to tweak this. I have an appointment tomorrow to discuss my progress on the drug and I am going to ask if I can try a lower dosage. I can also flex my willpower muscles a little more for the things that are truly important to me. I used to use my willpower to try and keep from blowing up over little things. If I failed, I yelled at my family. If this new normal means I exercise willpower to keep my hobbies in my life, and failure means a missed day of writing or one less chapter of a book, my more pleasant home life is worth it. For my husband and my kids and myself. I want to make sure to stress that I am not a doctor and I am SURE that this course is not the best for everyone. This is definitely not a tacit endorsement of medication for all. It's a little spooky to realize that a small pill has so much control over my life and my emotions, but for me, it's also comforting to have help quieting a part of me that keeps me from feeling like the woman I want to be. I may not feel this way forever, but my doctor assured me that the conversation about whether this is the best for me is always open, and that, too, is comforting. I've always shared about my health on this blog, mostly because I overshare and talking about myself is one of my favorite hobbies. I also felt drawn to write this down after reading this great piece by Veronica Roth, a popular YA author who shared her story to encourage others who are struggling with mental health. Nothing is too small or silly to go unnoted- talk to your doctor about how you're feeling. If they dismiss your concerns, find another doctor. I have built a really special relationship with my primary care provider by being blunt even when it's uncomfortable, and she, in turn, listens to me and guides me. I trust her. If your doctor doesn't make you feel safe and cared for, find another. You deserve a positive health care experience, no matter who you are or what symptoms you're struggling with. I would be happy to answer any questions you have about my personal situation, building a relationship with a health care provider, or anything at all that crosses your mind. 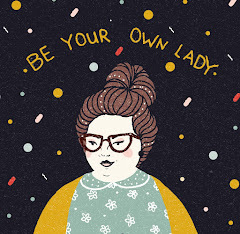 Take care of yourselves as best you can, accept help whenever you want to, and never let anyone question the way you choose to live in your glorious body. http://fatfriendlydocs.com/ A list of fat friendly doctors listed by state and region, a great starting point for finding an open minded health care professional. https://findtreatment.samhsa.gov/ Behavioral Health Treatment Services Locator- completely anonymous, let's you find the help you need in your area. Both of the above links are from the indispensable resources page put together by The Militant Baker. It's nice that I found your blog.